​Our very own creation and is it ever great! 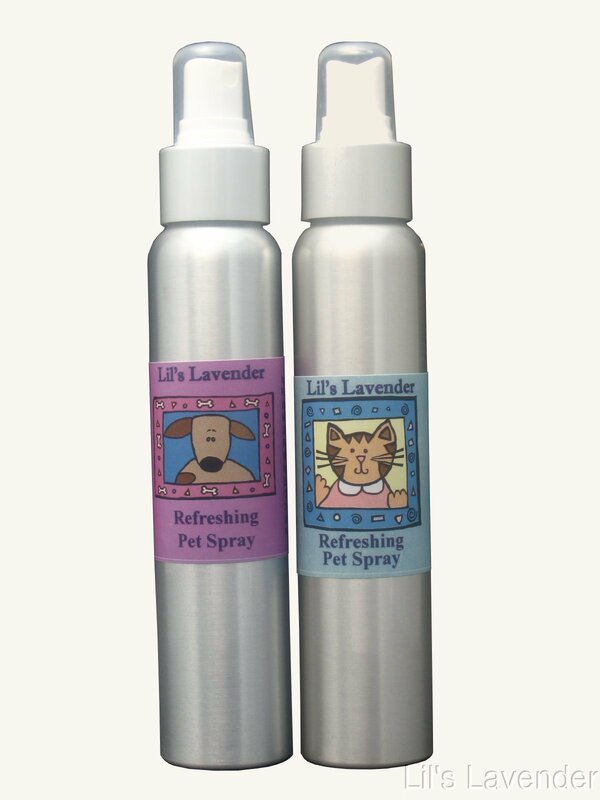 Natural Lavender and Cedar Oil combine with Rosemary and Chamomile and other ingredients to make this delightful spray that not only makes your pet smell like the great outdoors, but it acts as a repellant to fleas and other small insects. Caution: Most pets do not like to be sprayed directly. We suggest applying a few drops of lavender essential oil on the back of your dog's neck where they cannot lick on a regular basis to help repel fleas. Cats vary significantly, and they can be allergic to lavender. Test a little on the bed to determine whether your cat tolerates lavender.